The article, “How Grain is Transported in the United States” (April-May 2013 issue of Farm Business Management Update), explained the trends and basic information pertaining to grain transportation in the U.S. This article will focus on Virginia’s rail system, how grain is transported, and locations of Virginia’s grain major handling facilities relative to the rail network. Virginia’s rail network is comprised of approximately 3,400 miles of tracks, Figure 1. This network is owned and operated by several companies, which are classified by their annual revenue. The Surface Transportation Board defines railroads with revenue over $250 million as “Class I,” between $20 million and $250 million as “Class II,” and less than $20 million as “Class III.” Specifically, two Class I (CSX and Norfolk Southern) and several Class III (or shortline) railroads operate in Virginia. Figure 2 indicates that much of the rail lines in Virginia are Class I: CSX (shown in blue) and Norfolk Southern (shown in magenta). The Class I railroads operated 91.5% of Virginia’s railroad mileage in Virginia (Table 1). Figure 1: Map of Virginia’s rail lines. Source: Virginia Information Technologies Agency’s Virginia Geographic Information Network. Figure 2: Map of Virginia’s Class I rail lines. Table 1: Railroad mileage in Virginia by class. Source: “Virginia State Rail Plan” (2004). Some commercial grain facilities (e.g. elevators) make use of railroads to receive or distribute grains to the final user, processor, or to the export market. In 2012, VDACS listed 106 licensed handlers and dealers of grain in Virginia. Figure 3 shows the locations of these facilities relatively to the rail network. A visual observation of figure 3 reveals that many of the commercial grain facilities are connected or close to the rail network. Nevertheless, even if a railroad is “close,” it does not necessarily mean that the facility has direct access or can load and unload grain via trail. Notably, the Northern Neck does not have direct rail access, but roads and water transport (barges) offer alternatives for moving bulk gain. Figure 3: Map of Virginia’s rail lines and commercial facilities. In summary, rail is an important mode for moving grain from producers to markets and Virginia has a vast rail network of almost 3,400 miles. Two Class I railroads—CSX and Norfolk Southern—comprise the majority of the state’s rail. 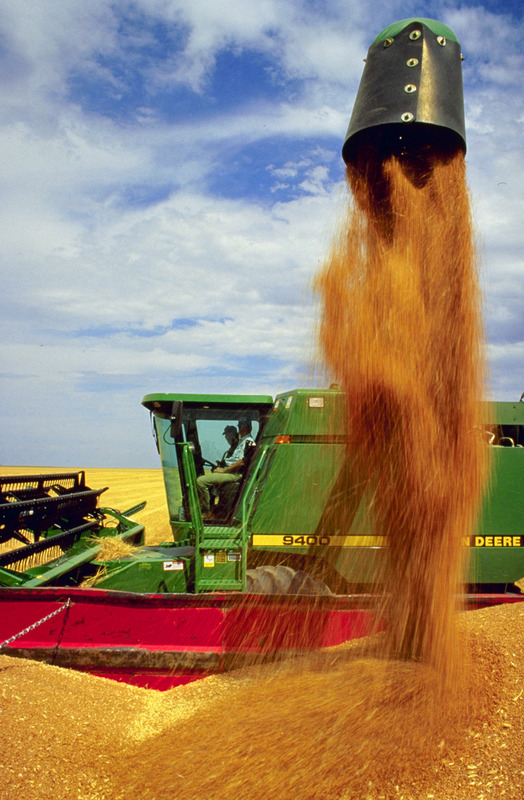 In addition, 106 commercial grain facilities serve Virginia’s growers and livestock producers. The majority of the gain facilities appear to have rail nearby. Further analysis is needed to verify access and use. Other areas for future research include incorporating other modes (e.g. truck and barge) and production into the analysis. In 2003, Virginia had 3,399 miles of track. Source: “The Virginia State Rail Plan” (2004), available here: http://www.drpt.virginia.gov/activities/files/VSRP-Print-Version-Full-Report.pdf. Virginia railroad data come from Virginia Information Technologies Agency (http://www.vita.virginia.gov/), specifically the Virginia Geographic Information Network or VGIN: http://www.vita.virginia.gov/services/default.aspx?id=3109. In 2012, there were fourteen entities registered out of state (including Kansas, Maryland, North Carolina, and others) and four locations could not be verified. Data come from the Virginia Department of Agriculture and Consumer Services. Importantly, the map does not distinguish grain “dealers,” “handlers” (not licensed to buy or store grain of Virginia farmers), and “cash buyers only” (not licensed to store farmer grain). This entry was posted in Articles and tagged Grain, Transportation. Bookmark the permalink.